There have been times in the USSR’s past when high-ranking officials turned against the state, disclosing important data to enemy countries. We recall three stories of men who dared to challenge the Socialist state – either out of fear or due to their ideology. Yet another information leak scandal broke out in America on June 5 – the FBI arrested Reality Leigh Winner, 25, a federal contractor from Georgia. She is charged with removing classified information from a government facility and mailing it to The Intercept news outlet; she may spend up to 10 years behind bars as a result. The information concerned the potential connection between Russian intelligence and hacker attacks that happened right before the 2016 presidential elections, and apparently fueled an article in The Intercept. WikiLeaks founder Julian Assange supported Winner. “She is accused of courage in trying to help us know,” he tweeted. Nowadays, information leaks to the Internet tend to attract a lot of public attention. In Soviet Russia such leaks didn’t attract any attention at all – for no one except “those in charge” knew about them – but they occurred nevertheless. Of course, there was no Internet back then, and those disclosing secret data were not WikiLeaks whistleblowers, but, usually, officials who decided to change their political alliance. Here are the stories of three of them. Until 1938, Genrikh Lyushkov (1900-1945) had nothing to complain about in his life and career in the Soviet Union. A successful officer of the NKVD - the secret police agency - he headed the local branch of the organization in the Soviet Far East. Lyushkov participated actively in Stalin’s Great Purge: As historian Joseph Telman wrote, it was under his rule when the repression in the Far East reached its peak. Times changed when Lyushkov started being threatened. The authorities summoned him to go to Moscow in May 1938. Given that the positions of his patron Nikolay Ezhov, the head of the NKVD, had weakened, Lyushkov understood that in Moscow he would face arrest and certain death. So he decided to flee to Japan, the country on the brink of war with his homeland. In June 1938, he crossed the border with Japanese-controlled Manchuria and went to Tokyo, where he expressed his eagerness to cooperate with Japan’s intelligence service. “I am ready to devote the rest of my life to struggle against Stalinism” he claimed. It doesn’t seem, Telman noted, that the Japanese were convinced by his sincerity, but he became an invaluable source of information for them anyway. Lyushkov disclosed all the information that he possessed concerning the Soviet army and intelligence in the Far East. Due to his testimony, the Japanese learned that the Soviet army group on the border was much larger than they had previously thought and, for this reason, decided against attacking the USSR. Moreover, with Lyushkov’s help, the Japanese managed to plot two plans to assassinate Stalin (Operation “Bear”). Both assassination attempts failed but the Japanese appreciated Lyushkov’s enthusiasm, recognizing him as a clever and hard-working man. The runaway Chekist continued to serve Japan up until the end of World War II, working as a specialist on East Asia and the USSR. In 1945, as Germany surrendered and the USSR declared war on Japan, Lyushkov was sent to the Kwantung Army. He disappeared in August 1945, having been last seen in Dairen (now Dalian, China). Though his destiny is not quite clear, the majority of Russian historians believe that the Japanese killed him after they realized their defeat was inevitable. After all, Lyushkov knew far too much for Tokyo to leave him be. In 1975, Under Secretary-General of the UN Arkady Shevchenko (1930-1998), a Soviet citizen, asked Daniel Patrick Moynihan, United States Ambassador to the UN, for political asylum in the U.S. Moynihan, rather surprised, passed this request to the CIA. Agents convinced Shevchenko that before leaving his Socialist motherland for America he help the American government. Shevchenko became the most high-ranked American spy in the Soviet Union. Before his change of heart, Shevchenko had been a talented and prosperous diplomat. He had close relations with Andrei Gromyko, the Soviet Minister of Foreign Affairs from 1957 to 1985. According to the memoirs of the KGB top officer Igor Peretrukhin, Gromyko kept no secrets from Shevchenko, discussing with him in detail not only the Soviet foreign policy, but also the deep secrets of the Politburo (Soviet government) such as future appointments and the state of health of its members. From 1975 to 1978, Shevchenko was passing all this information to the CIA. 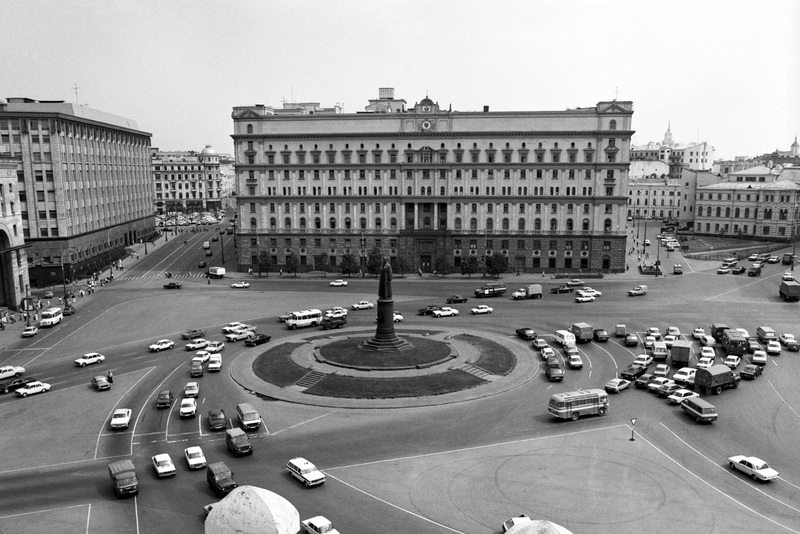 The KGB was growing suspicious of him, so Shevchenko demanded that the Americans give him refuge, which they did in March 1978. In exile, he wrote a memoir titled Breaking Up With Moscow, in which he tried to explain his motives. According to the book, by the middle 1970s Shevchenko had become completely disappointed with the hypocritical Socialist system and, unable to change the state from within, had decided to fight it by disclosing secret data to the West. On the other hand, some Soviet officials who used to know him claimed that Shevchenko cared about nothing but his personal comfort and was seduced by the idea of living a more luxurious and freer life in the West. He spent the rest of his life in the U.S. and died in 1998 of cirrhosis. In his interview with Radio Svoboda Oleg Gordievsky (born in 1938), former KGB colonel and long-time British secret agent, recalls that it was the Soviet invasion in Czechoslovakia that made him disenchanted with the Soviet values and his work. Gordievsky first contacted with the MI6 in 1968 and started working for the West. His collaboration became especially valuable in 1982 when he was appointed KGB Resident-designate in London, leading Soviet secret work in Britain. Vladimir Semichastny, former head of the KGB, qualified Gordievsky’s actions as the most harmful to state security in the late-Soviet era. On the other hand, as former MI6 agents claim, information disclosed by Gordievsky helped to improve Margaret Thatcher’s and Ronald Reagan’s understanding of Soviet policy and, thus, to end the Cold War. “It was important for me to protect the civilization in the West. That is what I thought about,” the double agent later said. By 1985, the Soviet authorities found out that Gordievsky was a spy. He was called back to Moscow, where the KGB interrogated him. Though having been drugged, Gordievsky did not give himself away and the KGB let him live in the Russian capital. With help from MI6 agents, he escaped to Finland. The agents had him smuggled in a trunk in order to cross the border. From Finland he went to Britain where he now lives. According to his interviews, he has no regrets and it doesn’t bother him that Russia has still not written off his death sentence, which the Soviet government declared back in 1985.